We didn’t make up that playbook. That was Greenspan’s playbook when faced with the crisis in late 1998. His two rate cuts seemed alarmist to many initially until a furious stock rally in November 1998 quelled all doubts. We remember that period & the panic in markets was such that they needed “whatever it takes” kind of assurance. Yes, those rate cuts should have been reversed in Q1 1999. Hark back also to the wonderful situation created by Greenspan’s rate cut in 1995 after his brutal squeezing of inflation in 1994. 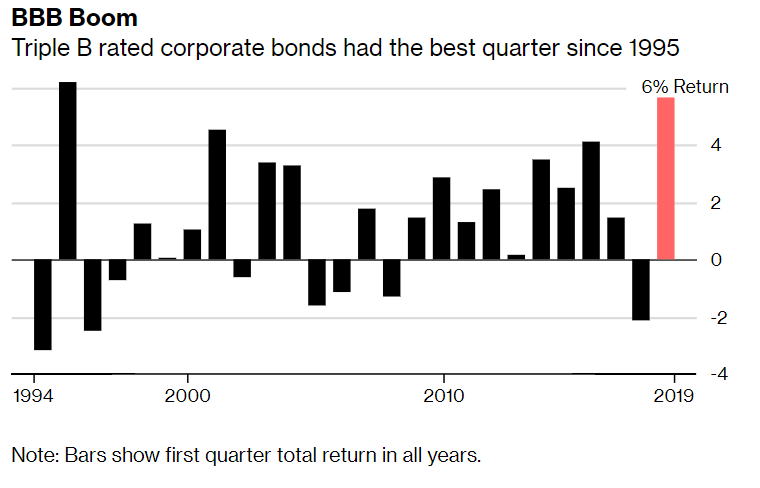 That should be the better model for 2019 instead of 1998 but today’s leveraged economy with 10 trillion dollars of negative yielding global bonds make 2019 much more dangerous than 1995. And how did this week begin? Rick Rieder‏Verified account @RickRieder – Still, some U.S. and global #economic measures are decelerating at a concerning rate, so both close observation of the data and some cautionary portfolio #hedges are warranted. David Rosenberg‏ @EconguyRosie Mar 26 – Curve inversion will be temporary only if one these happen: Fed eases or inflation expectations revive. When the inverted was a ‘head fake’, that 15% of the time, the Fed cut rates. As for inflation, the leading measures (NY Fed on prices, Atlanta on wages) have peaked. That’s for a normal Fed Chair. What did swashbuckler Bernanke do in 2010? David Rosenberg‏ @EconguyRosie Mar 26 – Definition of pushing on a string: When mortgage rates dive 70 basis points over a four month span and single-family housing starts are down, not up. Last time this happened in late-2010, Bernanke responded with QE2! No one is asking for another QE4ever. Stephen Moore, the presumptive nominee for the Fed Board, told the New York Times that the Fed should immediately cut rates by 50 bps. He was accused of blowing hot. So on Friday stepped up his brother in thought, Larry Kudlow, to make the same demand in a decidedly blow cool manner. Remember what Chairman Powell did in his last two pressers? Just think! What if Jay Powell had been so smooth & cool in positively selling his freezing of rate hikes as a protective measure in his March 2019 FOMC presser? 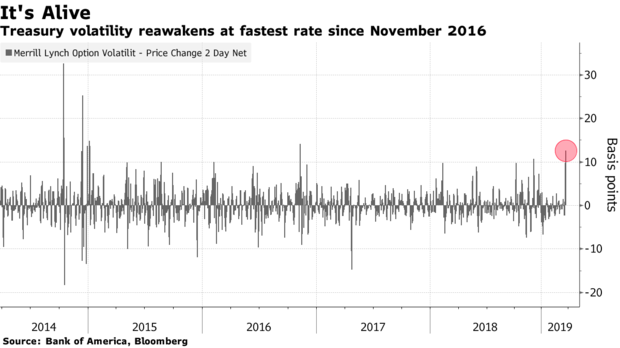 Would the Treasury market have reacted in the massive panic the way it did in response of Chairman Powell? Of course not. But the CNBC Fast Money trader team reacted derisively to Kudlow’s “protective” comments. All of them questioned the need for “protective” measures because the economy is doing fine. Guess they don’t remember 2007 and how Fast Money traders spoke then. As we recall, as late as June 2007, the Fast Money team kept talking about inflation rising & increased growth in the economy. They haven’t changed a bit. We wondered if they prevent their families from getting flu shots ahead of winter. Probably not. They understand that getting vaccines is a protective & cautionary act. Yet, they refuse to get what Kudlow was saying. Everybody knows & sees the contagion growing in Germany, Europe and now Asia. That deflationary slowing growth contagion could hit the American economy. And inflation is not only not growing, it is actually threatening to slip lower. So what’s wrong in asking the Fed to protectively cut rates by 50 bps, just as the Fed did in 1998? jeroen blokland‏Verified account @jsblokland – ‘Hmm’ chart! 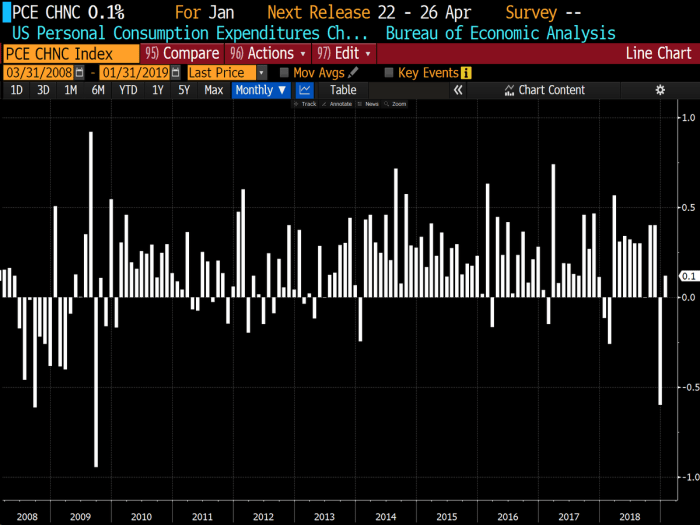 US personal spending recovers from its biggest collapse since the financial crisis in December, but less than expected. What was the financial crisis in December? The worst S&P selloff in recent history. Chairman Powell gets it. That’s why he did what he did at the March 2019 FOMC meeting. The tragedy is that he totally blew the presentation & scared the listeners out of their wits. No wonder smart strategists are taking down their targets for the 10-year yield, like Steven Major of HSBC who has been more right than wrong. Lisa Abramowicz‏Verified account @lisaabramowicz1 – “Once again we take a hatchet to US Treasury yields; we cut our 10-year forecasts to 2.10% for end-2019 and end-2020. This represents a 40bp reduction from the forecasts we made six months ago:” HSBC debt strategists led by Steven Major in a report today. Mr. Lawrence does not think the Fed will cut rates in 2019 but he sees the Fed cutting rates 5 times, yes 5 times, in 2020 and driving the 10-year yield to 1.25% by 2020-end. Why? He says the Fed is going to act aggressively to prevent a shallow recession turning into a very deep recession. The 10-year yield at 1.25% by year-end 2020? Wow! 2. Could the Fed become another or the next China? You have to admit that luck has favored President Trump since he announced his campaign. He has also been astute & smart to convert several seemingly bad happenings to good effect for him. One such is relevant to the Fed and that is the leadership of Ms. Maxine Waters & the inclusion of Ms. Ocasio-Cortez. The other is the release of the Mueller report within a few days of Chairman Powell’s presser & the waterfall decline in interest rates. Last Sunday AG Barr gave a summary to the Congress & President Trump became joyously unbound. Even Robert Shiller, a Nobel prize winning economist, said on BTV that the Mueller report increased the Big Feeling of American Confidence President Trump has brought back. 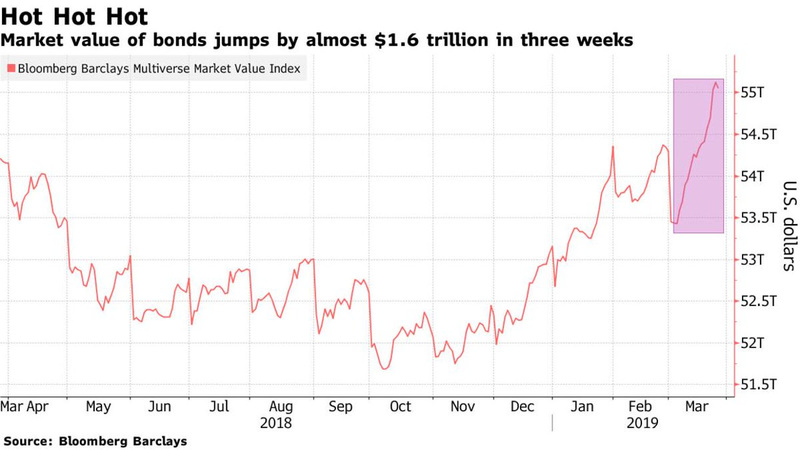 And this week, a broadside was leveled at Fed Chairman Powell. Listen carefully to Larry Kudlow in the clip above. He describes his 50 bps rate cut ask as simply his view & uses the credibility of watching the yield curve by 30 years to support his view. Look how humbly & respectfully Kudlow said “Federal Reserve is an independent Central Bank; they are going to do what they are going to do“. Understand President Trump is already criticizing the Democrat House for not doing the people’s work and falsely going after the Russia-collusion. If the economy does indeed get worse and Chairman Powell remains adamant, he can direct his fire at both the Fed & Ms. Waters. How ironic would it be for Maxine Waters to defend the charges of being overly friendly towards the Fed and against the American workers & the increase in their wages? Remember how the Congress was unhappy at President Trump’s attacks on China in 2017 and opposed to tariffs on China. But President Trump has so characterized China that now the Democrat House is more anti-China than President Trump is. Now you have Senate Minority Leader Schumer exhorting President Trump to be even more hawkish against China. This scenario could repeat to an extent with the Fed. President Trump will NOT hesitate to put the blame on the Fed if layoffs increase, if wages slip & if the economy slows down. And Chairman Powell has set himself up as the target. Remember what he told 60 minutes – that (essentially) the President cannot fire him and he plans to serve his 4-year term. So Powell himself has given the President an out and painted a bulls-eye on Maxine Waters, Nancy Pelosi & the Democrats for being responsible for oversight of Powell’s actions. So President Trump, under bad economic circumstances, could say that he would have fired Powell but he cannot and then ask why Pelosi/Waters have not fired Powell. But the goal would not be to fire Jay Powell. In fact, Mr. Powell could prove very useful as a recalcitrant Fed chair who is anti-workers, anti-high-wages & who is backed & protected by the Democrat House. That would play very well in Big 10 country. By the time November 2020 comes around, the Fed & Fed Chairman Powell could end up being more unpopular with Democrats than President Trump. That is what we mean by the Fed possibly becoming another China. 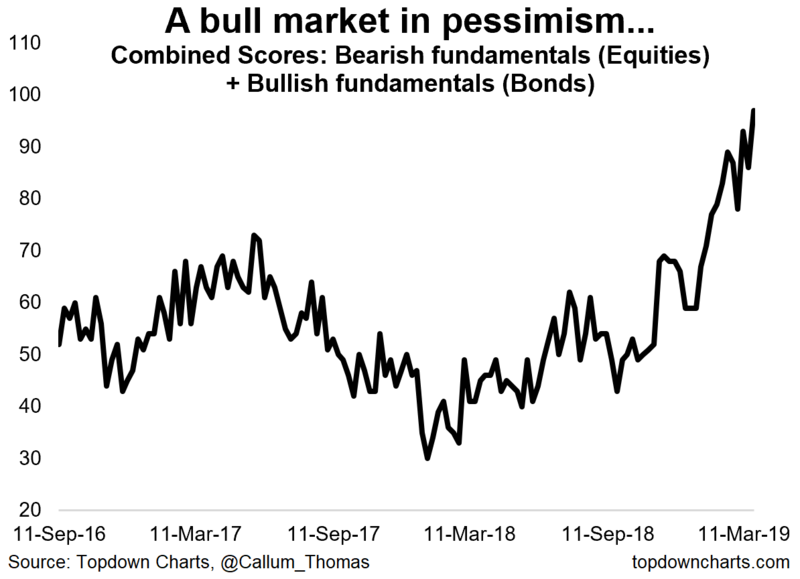 The most succinct tweet about the bond market turbulence? Go back to 2001 & notice that each peak in interest rates has been lower than the previous. This pattern of lower highs is ominous & suggests that the peak of the next cycle will be even lower than 2.4%, perhaps even a 1-handle peak rate. How depressing is that? 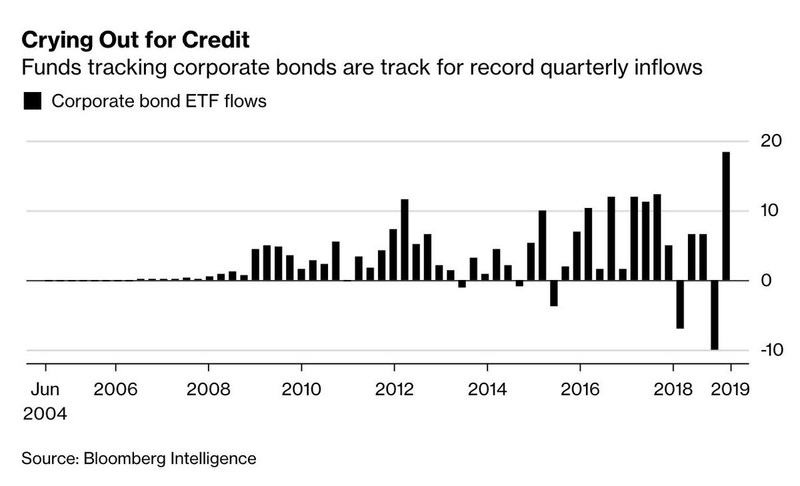 But how thrilling was this turbulence to long investors in bonds? What usually happens during such rallies? Aren’t flows linked to performance? But such peaks of volatility fade at some point & then the price move that accompanied the vol surge flattens out or reverses somewhat. Does that mean the precipitous fall in rates, that accompanied the volatility spike, is about to flatten or even reverse? 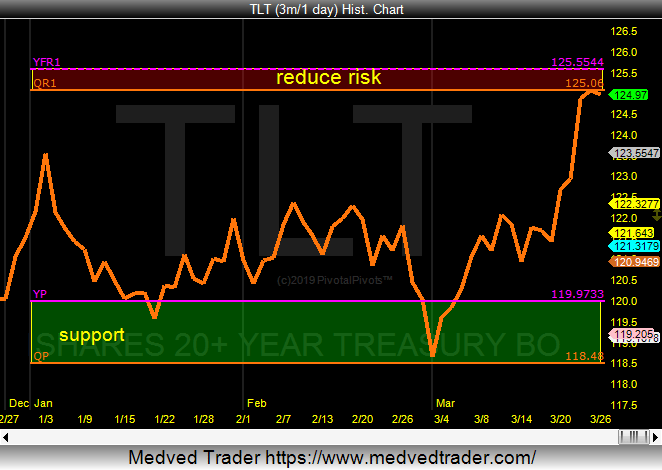 Jeff York, PPT‏ @Pivotal_Pivots – Tue Mar 26 – $TLT this past Qtr, went from a low on the QP to a high at the Qr1&YFr1 Pivots. 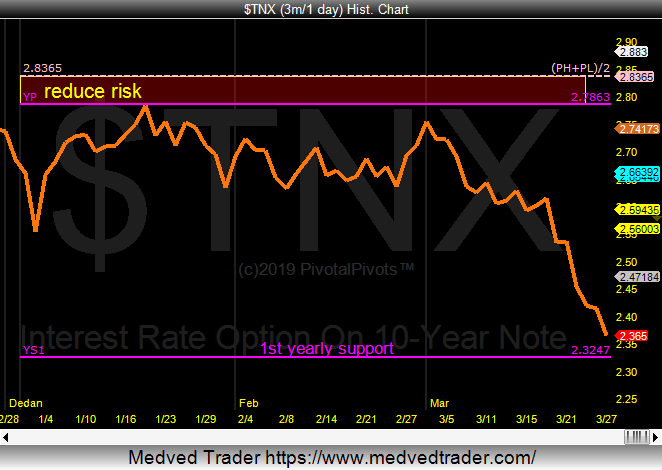 This is a good spot to reduce or hedge risk @PivotalPivots. Is there any relation between these different vols? Real Vision Research‏ @RVAnalysis Mar 27 – Where ever Bond (white) & Yield Curve volatility heads Equity (orange) & FX (Blue) are not far behind. What is a more elaborate way of presenting this? What does all this mean for simple stock investors? So said Jim Lebenthal of CNBC Half Time Report on Friday. That sounds crazy given the extreme short-volatility tweet above. But other factors tend to support Mr. Lebenthal’s claim, especially from a liquidity viewpoint. The second is Tom McClellan’s data-backed article titled Bond CEF A-D Line Showing Big Strength. It turns out that the Bond CEF A-D data are actually better than the A-D data for the “real” common stocks. Go figure. For right now, the Bond CEF A-D Line is making new all-time highs, saying that liquidity is plentiful. No wonder this week was so good for stocks & it ended well too. 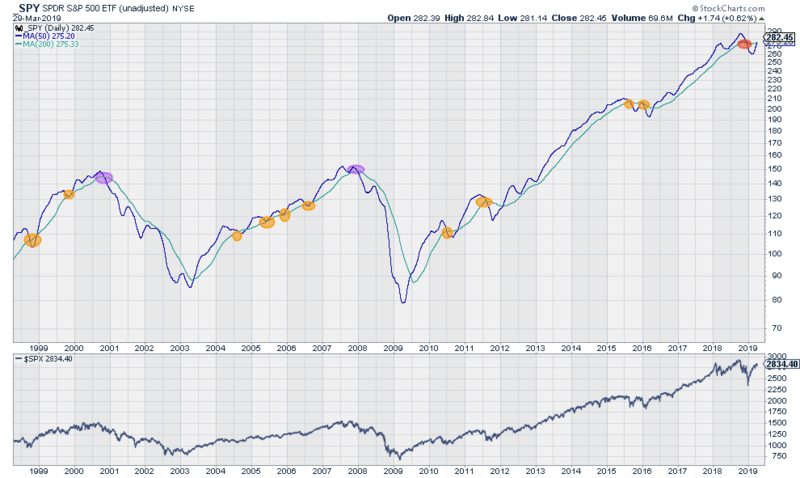 Bob Lang‏ @aztecs99 – spx setting up for the highest WEEKLY close since October 18. 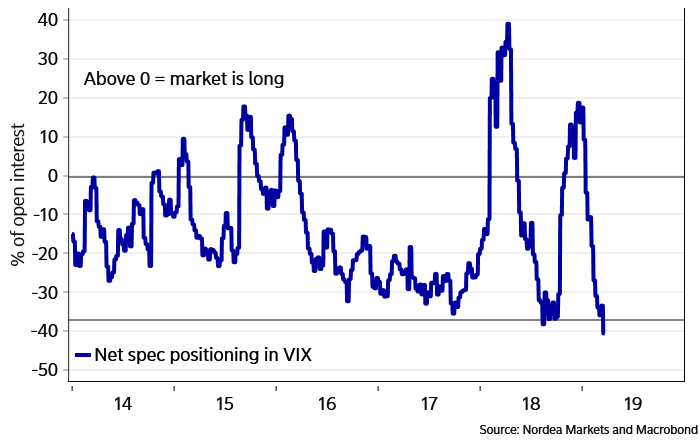 Wouldn’t it be ironic if after all these positive tweets, we actually get a downdraft next week, perhaps thanks to the high short VIX position. 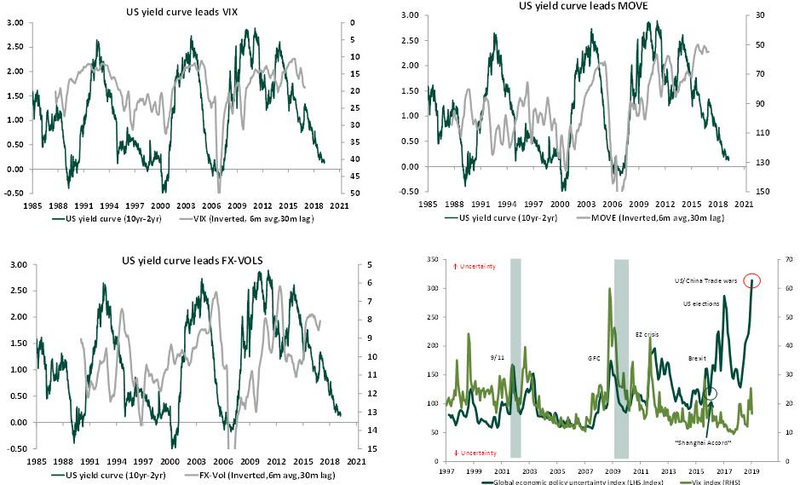 But we find it difficult to see a big VIX explosion if liquidity is indeed as plentiful as Tom McClellan says it is. Unless next week’s economic data, especially the Non-Farm Payroll report, causes turbulence.